Theatre (Tour) Scooby Doo LIVE! Theatre The Goat or, Who Is Sylvia? Conor is a Brighton-based theatre maker, director and actor. 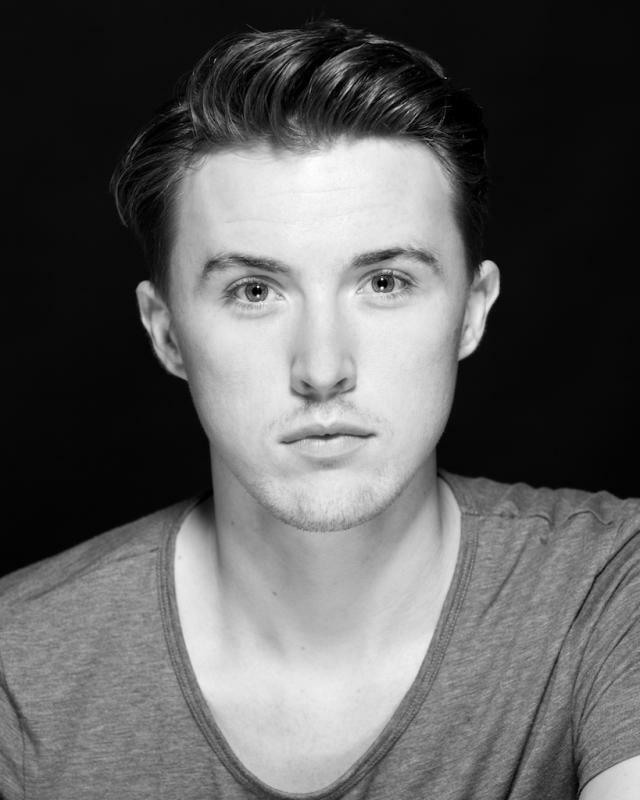 Originally from the East Midlands, Conor attended Rose Bruford College of Theatre and Performance studying on the American Theatre Arts program, during which time he spent a six month placement studying at Columbia College in Chicago, Illinois. Upon graduation, Conor spent the following three months on a Directing Observership in collaboration with California-based repertory company Shakespeare Napa Valley and the University of Kingston at the Rose Theatre. He has also attended technical workshops with The Royal Shakespeare Company and The Wrestling School. Professional performance credits include: Bilberry in Sleeping Beauty (Emporium Brighton), Jack in Into The Woods (Chocolate Box Theatre/Emporium Brighton) Antipholus of Syracuse in The Comedy of Errors (Shakespeare Napa Valley/Rose Theatre Kingston) and Man 1 in Songs For A New World (The Barn Theatre). Training performance credits include: Lt. Clay Ogden in this divided earth (World Premier - Rose Theatre, RBC), Alan in Picnic (Barn Theatre, RBC), Prior in Angels In America (Rose Theatre, RBC), Dionysos in The Bacchae (Rose Theatre, RBC), Brother Leggett in Splendora (The Getz Theatre, Chicago), Casanova in Casanova (Lamorbey House, RBC). Whilst studying at Columbia College, Conor directed and produced Oedipus The King as an immersive production for which he won Best Director at the Columbia Greenie Awards. His directing credits in training also include: The Crucible (Rose Bruford Studio), The Perjured City or, The Awakening of the Furies (Rose Bruford Studio), Trojan Women (Rose Bruford Studio) and Conquest of the Universe or, When Queens Collide (Rose Theatre, RBC). Conor is also a founder and creative director of Brighton-based experimental theatre collective Squall + Frenzy with whom he directed the sold out premier of their first work, Fragments of a Fallen City at The Regency Tavern in May 2014. He is currently directing Squall + Frenzy's first 48 Hour Play Season including The Tempest, Medea, 'Tis Pity She's A Whore, Salome and The House Of Bernarda Alba. This May, he will also direct the company's first entry to the Brighton Fringe, Thirst Of The Salt Mountain. WORKSHOPS: The Wrestling School Method with Howard Barker (2014), Shakespeare: New Approaches with Christopher Hurrell and Gerrard McArthur (2013 – 2014), Stage Combat with David Woolley (2011), Practical Aesthetics and Meisner with Merryn Owen (2011), Viewpoints with Sherrill Gow (2011), Social Dance with Polly Bennett (2011), Performance/Design with Punchdrunk Theatre Company (2011), Leading Workshops with Mary Benzies (2010), Mask Theatre with Trestle Theatre Company (2010). MUSICAL/VOCAL: HIGHLY SKILLED TENOR (B♭ below Middle C to B above Middle C) Strong Belt, Falsetto (to 2nd F above Middle C). Highly skilled in classical and contemporary musical theatre. Trained in Opera, Jazz and Pop. Basic Piano and Percussion. ACCENTS: RP (Native), Cockney, Essex, Northern, West Country, Standard American, California, New York, American South, Standard Scottish, Australian, Eastern European, German. PHYSICAL: Skilled Swimmer with Diving and Scuba Diving experience. Basic training in Unarmed Stage Combat and Rapier and Dagger. OTHER: Full Clean Driving Licence.